Some penguins will switch their diet of fish depending on the availability and others might choose to eat squid and other crustaceans when their choice of fish is not available. One can say that the kind of fish that penguins eat depends on their geographical location and the availability of fish in that area. Let’s take a look at some of the common types of fish that are consumed by penguins. Lanternfish – Emperor penguins mostly consume this fish. Emperor penguins also eat crustaceans and cephalopods. But fish forms up to 90% of their diet. Penguins dive deep into the cold ocean to catch fish and krill from the ocean floor and they can often spend up to 20 minutes underwater to look for the fish they want to eat. Lanternfish are a favored fish because of the bioluminescence that makes it glow in the dark waters and makes it easier to catch for the penguins. Silverfish – Penguins also eat silverfish, and it’s mostly emperor penguins that consumer Silverfish as it is found in the Antarctic waters. This fish is small in size, and emperor penguins have to eat this fish in combination with other fish to make up for their diet. Herring – Herring is another fish that is the ideal diet option for penguins in the cold Antarctic waters. Mostly, king penguins prefer herring. Capelin – This is another variety of fish that forms a part of the diet of king penguins. Mostly penguins in captivity are fed this fish as it is small in size and caretakers can manually feed this fish to penguins. Sprats – Sprats are small fish that are mostly used for feeding penguins that are kept in zoos. These tiny fish are a favored food for Humboldt penguins as these are small in size and easy to swallow for the penguin. Mullets – These small fish are eaten by Galapagos penguins as the ocean currents bring these fish near the island where the penguins reside. Galapagos penguins also eat sardines when available in their hunting grounds. As the small penguins cannot dive deep, they hunt near the surface where small fish like mullets and sardines swim. Sardines or Pilchard – Sardines are the preferred fish for the Humboldt penguin, the Galapagos penguin, and the African penguin. As these penguins are small in size, they are efficient in hunting large amounts of sardines. African penguins and they often add anchovies and small squid to their diet of pilchard fish. African penguins can change their diet to anchovies in case there is a low availability of pilchard in their geographic region. Anchovies – This type of fish is available in all kinds of water, from marine waters, brackish waters to even fresh wasters in South America. 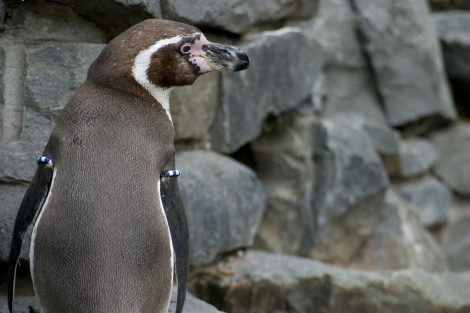 This fish is the primary food for African penguins because of its small size which can vary from 2cm to 40cm. Low availability of anchovies has impacted the population of jackass penguins that are found along the African coast. Cod – Cod is another fish that is small in size which is why it is a favorite food of the Gentoo penguin. The penguins can swallow the fish whole because of its small size and Gentoo penguins often prey on young codfish. Opal Fish – This fish is mostly eaten by yellow-eyed penguins that are found in New Zealand. These penguins are some of the rarest penguins in nature, and they also eat sprat, blue cod, silverside, and squid. Now that you think about it, penguins have a varied diet that includes different kinds of fish. And that’s not all they eat; they will also snack on squid, krill, and other crustaceans. In captivity, penguins are fed by their caretakers according to the dietary needs of each penguin. 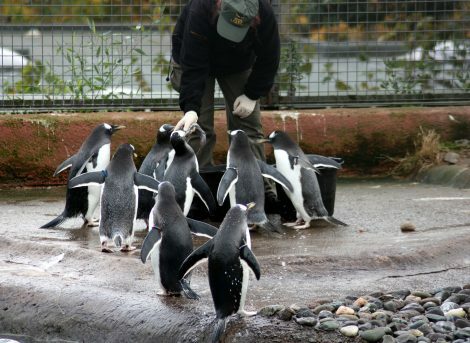 Caretakers also notice which penguins prefer what kind of fish and feed them accordingly. Hopefully, by now you have ample information about the kind of fish penguins eat and how their diet varies according to their geographical location. They also change their diet as per the availability of food in their vicinity. If you have any more questions about what kind of fish penguins eat, please feel free to talk about it in the comment section and our team will answer your queries at the earliest!